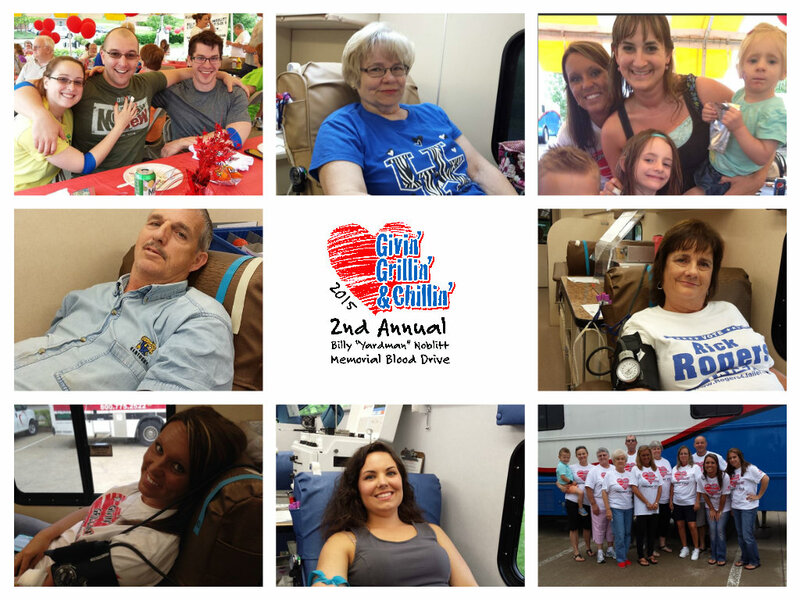 We are excited to announce an event that is close to our hearts – the second annual Givin, Grillin & Chillin, Billy “Yardman” Noblitt Blood Drive. On January 21, 2014, Billy Noblitt passed away suddenly. It was due to the compassionate efforts of those who had donated blood that he was able to spend a few more hours with his family. In his honor, his family began a new tradition by starting an annual blood drive so that many more in our community could receive this life saving gift. Did you know that just one pint of blood could save up to three lives? On Friday, May 15, we will be doing it up Yardman style from 9am-10pm in Downtown Frankfort at Old Capital Lawn. This event is open to the entire community and we hope that you will feel encouraged to come, with your family and friends, and support this worthy cause. All donors will be provided lunch and a t-shirt. Froggy 104.9 will be broadcasting live and there will be live music on Capital Lawn from 2-10. Artie Dean Harris will be the main act and will take the stage at 6pm. There will also be fun activities for the kids. Are you a business interested in helping save lives by being a sponsor? We are still looking for local businesses to partner with us for this event. All businesses will have the option to set up a booth promoting their business at our event. Sponsor names and logos will also be present on our numerous banners, all t-shirts and promoted via our radio, flyer and newspaper advertising. If you are interested in being a sponsor, please contact Belinda Bay at bbay@smcapproved.com. Check out these photos from the 2014 Givin, Grillin & Chillin event!